The year is coming to an end and it has been a relatively busy one for the CAS Ad Hoc divisions. Indeed, the Ad Hoc division was, as usual now since the Olympic Games in Atlanta in 1996, settling “Olympic” disputes during the Winter Olympics in Sochi. However, it was also, and this is a novelty, present at the Asian Games 2014 in Incheon. Both divisions have had to deal with seven (published) cases in total (four in Sochi and three in Incheon). The early commentaries available on the web (here, here and there), have been relatively unmoved by this year’s case law. Was it then simply ‘business as usual’, or is there more to learn from the 2014 Ad Hoc awards? Two different dimensions of the 2014 decisions by the Ad Hoc Division seem relevant to elaborate on : the jurisdiction quandary (part. 1) and the selection drama (part. 2). Part. 1: The Jurisdiction quandary: Too early to be judged! The scope of jurisdiction of the Ad Hoc Division of CAS is provided for in article 1 of the ‘Arbitration Rules for the Olympic Games’ (the same is true for the Asian Games). However, legal uncertainties over this scope of jurisdiction remain a defining feature. Many earlier disputes in front of the Ad Hoc division have tackled this question, and this has been true again this year. It is not so much the scope rationae personae that might be problematic, although one case arose at the Asian games in which two former squash players were denied access to the Ad Hoc division on the basis of not being “participating athletes”. Nor is it the rationae materiae that has been a real problem, as claimants tend to submit disputes, which are related to the Games. No, the problem child is usually the jurisdiction rationae temporis. Indeed, article 1 of the rules states that “any disputes covered by Rule 61 of the Olympic Charter, insofar as they arise during the Olympic Games or during a period of ten days preceding the Opening Ceremony of the Olympic Games” can be subjected to the jurisdiction of the Ad Hoc Division. So the key question is: When does a dispute “arise”? This “vexing issue”  was touched upon repeatedly in past Ad Hoc division awards. In the Birkner case, it had to be demonstrated that the dispute arose not earlier than the 28 January 2014, 10 days before the opening ceremony scheduled for the 7 February 2014. The panel first reaffirmed the fact that “the date when the dispute arose cannot, per se, be the date when the Request for Arbitration is filed” . So, back to the key question, when did the dispute arise? The award refers extensively to the Schuler case. In its main holding on jurisdiction, the 2006 panel considered that “it would not be possible to say that a dispute had arisen until Ms Schuler had decided to appeal and had filed notice of her appeal”. Nevertheless, the 2014 panel refused to consider the Schuler precedent to be applicable to the Birkner case for two reasons: the factual situation is different and the reasoning used in Schuler is fundamentally flawed. On the factual side, contrary to the Schuler case, the panel finds that “[i]n the present case […] the explanation was not given on a date inside the required period, as it was either on 20 January 2014, which is the date of the letter of explanation, or on 22 January 2014, which is the date on which the Applicant says that she received that letter”. Both of these dates being well before the 10 days period, the panel is of the opinion that it lacks jurisdiction. On the legal side, the panel is clearly not “convinced by the legal reasoning adopted in the Schuler case” . In fact, it considers that “[s]uch conclusion could extend the jurisdiction of the ad hoc Division outside the precise and limited framework set by the Rules, which this Panel is required to respect and apply” . The panel is of the opinion that “the date when a dispute arises is in general […] the date of the decision with which the Applicant disagrees” . However, “[s]uch a date can arise later […] if […] the decision is not self-explanatory and requires some explanation in order for the parties to know with certainty that they are in disagreement”. This is a noteworthy consideration, which indicates a substantial reduction of the scope of jurisdiction of the CAS Ad Hoc Division. If the parties do not agree to the jurisdiction of CAS (in practice they often do not contest the jurisdiction) it will render more difficult the referral of a dispute to the Ad Hoc Division. This understanding of the start of a dispute is contradicting the overall aim of the Ad Hoc Division, which is to deal swiftly with all disputes intimately linked to the Games. In this light, a more flexible interpretation of the jurisdiction rationae temporis, as suggested in the Schuler case, is preferable. 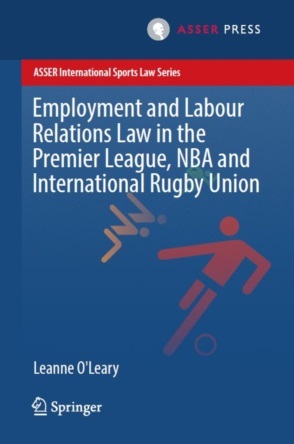 Athletes are no legal experts; they (and sometimes their lawyers) need time to find their way through the jungle of sporting regulations and dispute resolution mechanisms potentially applicable. The crucial importance of the Olympic Games for an athlete’s career call for an interpretation of the start of the dispute that focuses on the intention to challenge the decision as highlighted in the Schuler award. 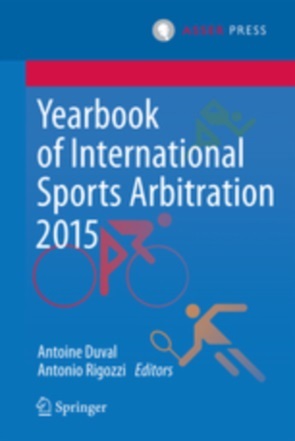 Moreover, any doubts concerning the starting date of the dispute should play in favour of the athlete, unless the time between the date of notification of the contentious decision and the decision to lodge a complaint in front of CAS is disproportionately (and abusively) long. The attack by the Birkner panel on the reasoning adopted in Schuler is no anodyne move; in the future it may threaten the access to justice of athletes and their ability to obtain a swift and fair decision, in a context where they most urgently need it. On the early days of the CAS Ad Hoc Division at the Olympics, the book by Gabrielle Kaufmann-Kohler is a must read : G. Kaufmann-Kohler, Arbitration at the Olympics, Kluwer Law, 2001. CAS OG 14/03; CAS AG 14/01; CAS AG 14/02. See CAS AG 14/01, §2.5. See also CAS OG 12/03, §2.3. In cases, in which the dispute overtly arose earlier than 10 days before the games such a restrictive interpretation could be tolerated. See for example: CAS OG 12/03, §2.3.23; CAS OG 12/02, §4.10; CAS OG 12/04, §5.2.